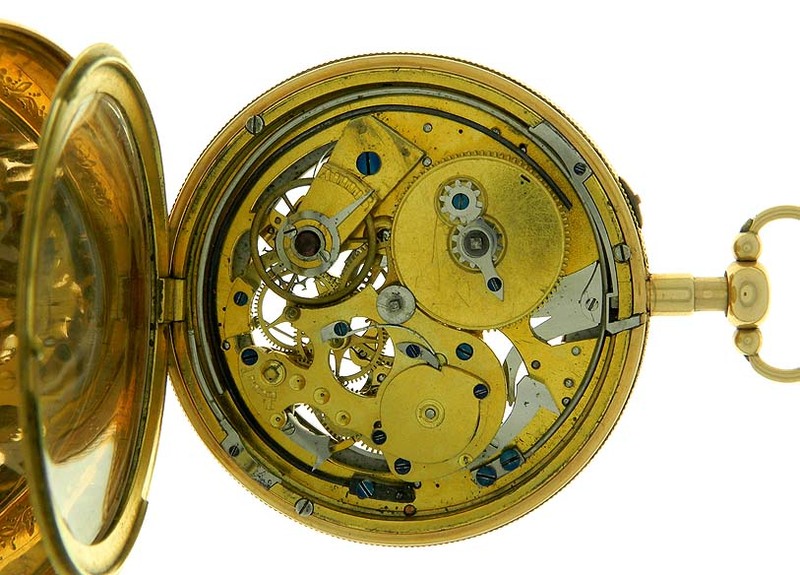 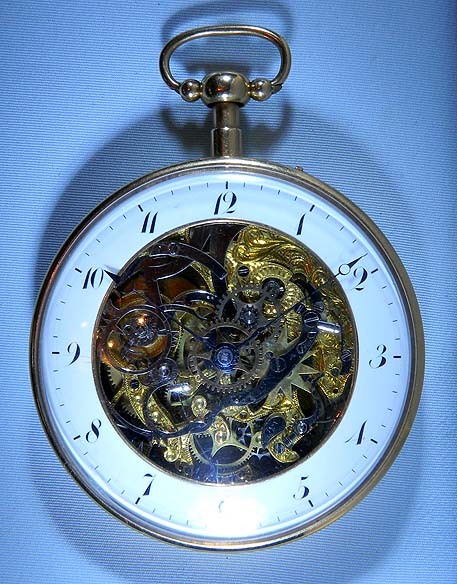 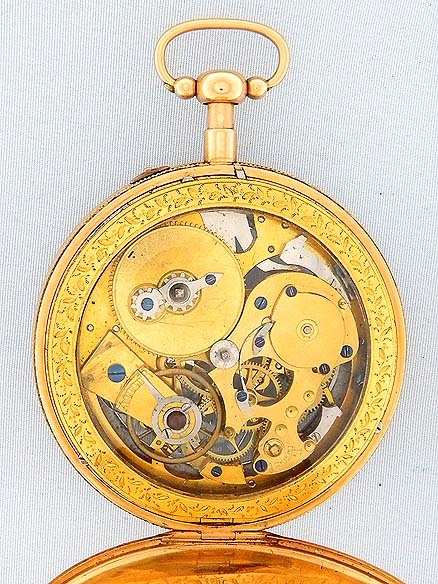 Fine slim continental 18K gold skeletonized quarter hour repeater antique pocket watch circa 1810. 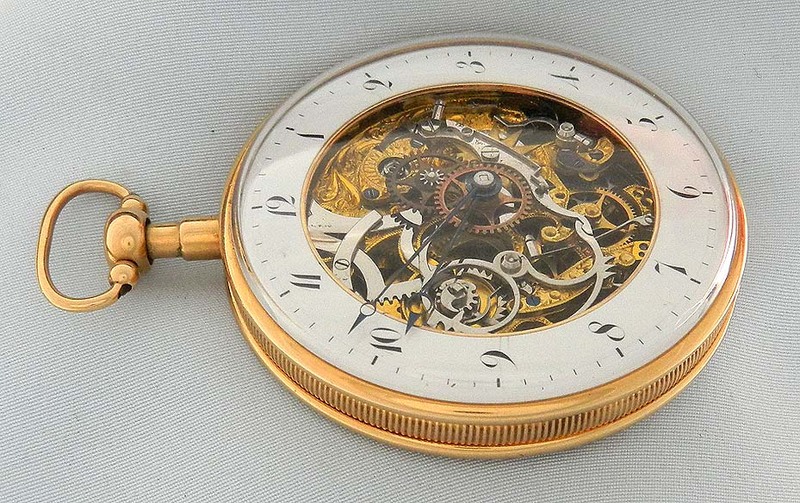 White enamel ring dial (minor hairlines) with black markings and blued steel Breguet hands exposing the beautifully pierced and engraved movement. 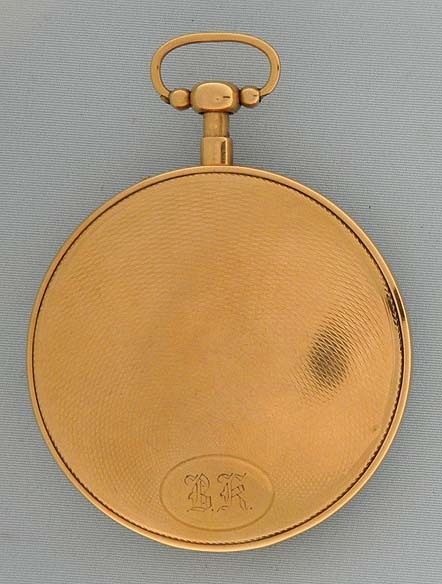 Engine turned case (light wear and dings) with milled band and engraved glazed spring-hinged dust cover.